Building on a new wave of interest in arts and culture and grow ing exc itement about the creative enterprises, the Community Found ation for Monterey County and the Ar ts Cou nci l for Monterey County initiated a dialogue and research process. Expert guidance and research capabilities were prov ided by Arts Market, Inc., a national leader in the synergy of arts, culture and economic development. 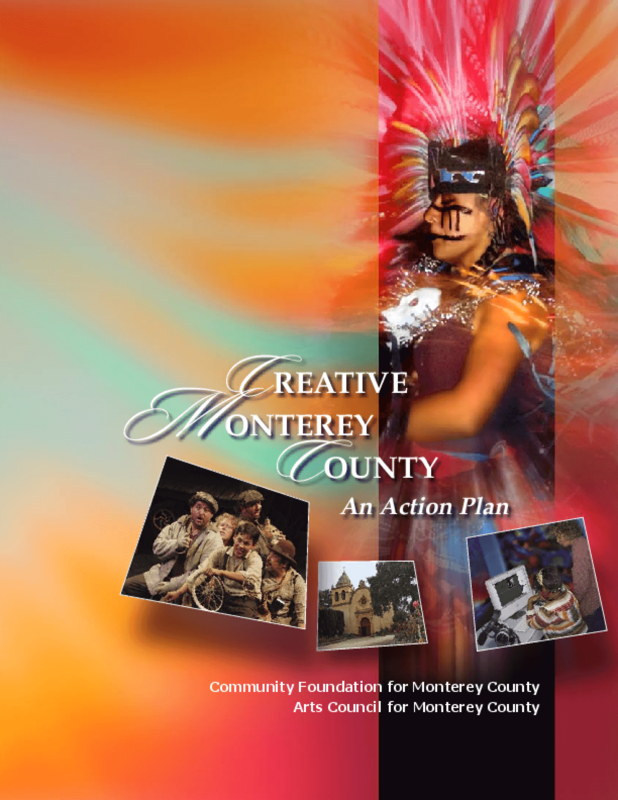 With financial support from The James Irvine Foundation, nearly one hundred artists, arts presenters and leaders in business, education, and government ca me together to develop "Creative Monterey County: An Action Plan" to build the creative economy over the next five years. Copyright 2007 by Community Fund of Monterey County. All rights reserved.